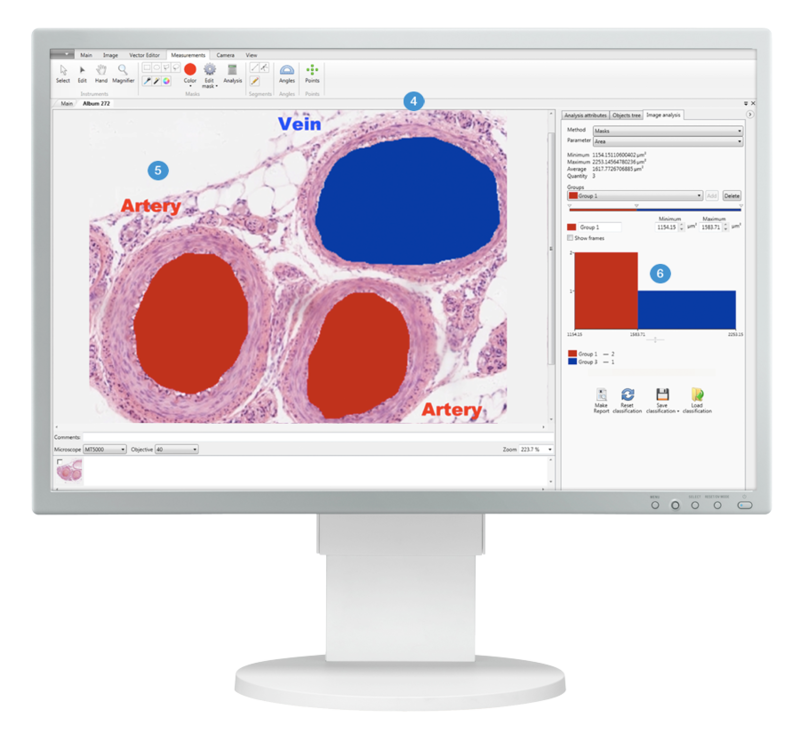 High resolution and perfect color rendering deliver superior microscopy sample image quality. The combination of innovative technology and classical microscopy extend working possibilities. 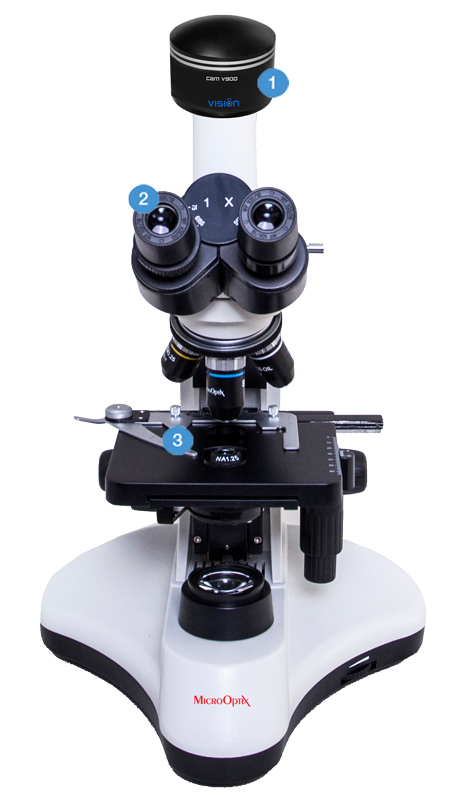 If necessary, microscopy sample can be viewed through the eyepieces. Find a required object on the microscopy sample in video mode, and capture its digital image. Basic working tools for managing patient records and analysis results. The toolbar has minimal size to retain space for working with images. Classification of analysed objects according to a required criteria and report generation. Analysis results are displayed in the form of histograms, charts and tables. Leave your comments directly on the digital sample image. Organization and editing of a virtual sample.